Named after the Indonesian word for pink, these stunning earrings are delicate and feminine. 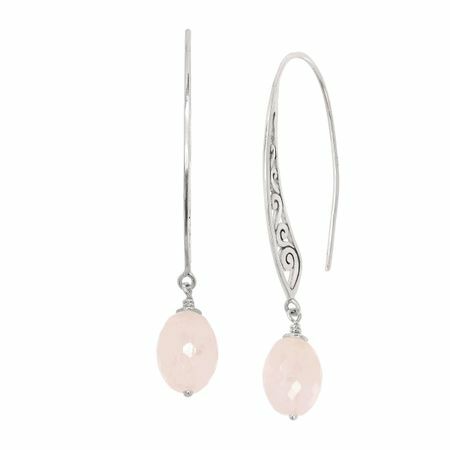 Oval-cut rose quartz suspends from French wires donning a dainty filigree design, all crafted in sterling silver. This piece is part of our Balinese Collection, inspired by the beauty of Southeast Asia and handmade in Bali using ancient silversmith techniques. Earrings measure 2 by 1/4 inches and feature French wire back findings.